In this blog we continue our coverage of the Congreso de Epigrafistas Mayas that took place earlier this year in Valladolid, Yucatán, June 11-15. 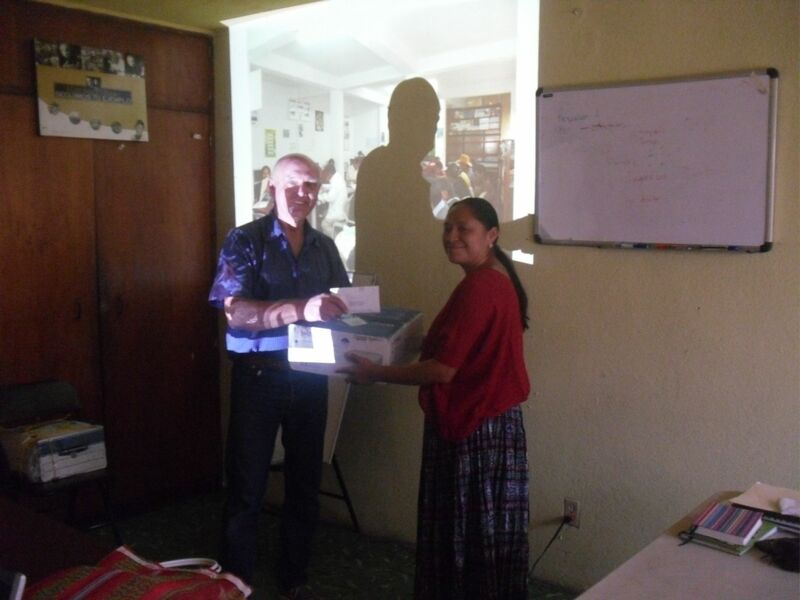 A number of Maya groups were given the chance to show the attendees the work they have been doing in their home communities. One of these groups, as we know from a blog posted earlier in 2012, is the Sak Chuen Group. In 2011, MAM granted an Epson projector and a cash grant to the Sak Chuen Group, received by Sak Chuen president Romelia Mo’, to help them carry out their mission of glyph workshops in the communities.